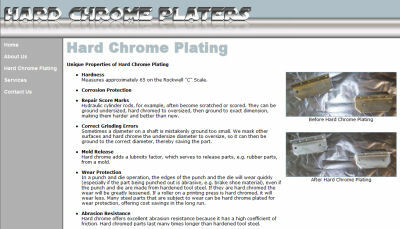 Hard Chrome platers a company specializing in hard chrome plating located in Nashville, TN. 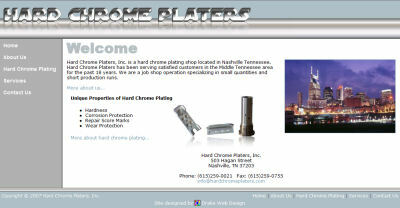 Client did not have a current logo for their company so we decided to go with text that looked like chrome to give the site a more theme related look. Gave the site a liquid design as opposed to the traditional 800 pixel locked width. This allows the pages to grow and shrink depending on screen resolution.